Should you choose apples or fries? If you’re past the age of 25, you’re probably familiar with the three Cs: calories, cholesterol and carbohydrates and what effects they have on the body. So you’re more likely to pick apples. But if you’re younger than 25, your dorsolateral prefrontal cortex — also known as your brain’s self-control region — hasn’t fully developed. You haven’t fully processed what seems like nutritional mumbo jumbo. So you might not hesitate before choosing fries. Brain development is one of the contributing factors to our childhood obesity epidemic, says Lark Lim, associate professor of psychology at the University of Missouri-Kansas City. “Kids simply don’t have the knowledge and cannot fully understand the dietary science of healthy eating,” Lim said. But Lim and his collaborators, using neuroeconomics (see sidebar below), are creating tools to help guide more people to make healthy decisions — to choose apples. Would my mom like me to eat this? The ultimate goal for Lim and his team is to prevent childhood obesity by encouraging children to be successful self-controllers who can make their own healthy dietary choices voluntarily. As children grow, they learn how to make decisions independently. A critical time when children make their own food choices is when they’re growing into adolescence, from 9 to 14 years old. Although this age group’s self-control functions haven’t developed, Lim’s team discovered from their own neuroimaging study that caregivers hold heavy influence on children’s decisions. For example, would my mom like me to eat this? 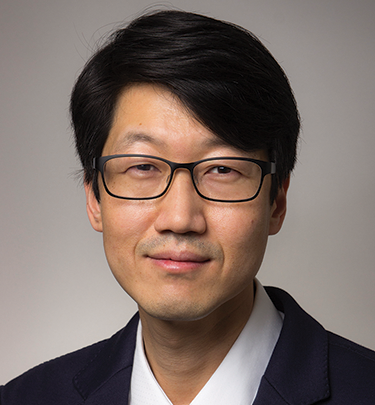 In their study published in 2016 in Nature Communications, Lim and his collaborators determined that this neural internalization of parental regulation serves as an important self-regulator of children’s decision-making and can lead to optimal food choices. K-12 schools’ food and nutrition programs, regulated by the U.S. Department of Agriculture, play a critical role for children’s nutrition. But the lunch choices are still up to children who don’t have a full understanding of dietary information for their selection. As a parent to two children in this age group, Lim sees the challenges of helping influence healthy decisions when he’s not around. “I’ll ask my daughter what she ate for lunch at school and she’ll say ‘I don’t know’ or simply shrug,” Lim says. To develop and create a parent-child tool that aids in this decision making, Lim has applied for a grant from the U.S. Department of Agriculture with research partners from the UMKC School of Computing and Engineering, the Center for Children’s Healthy Lifestyles (University of Kansas Medical Center and Children’s Mercy) and local elementary and middle schools. While undergoing neuroimaging sessions, children 9 to 14 years old and their mothers will make real food choices in either independent-decision or shared-decision conditions. 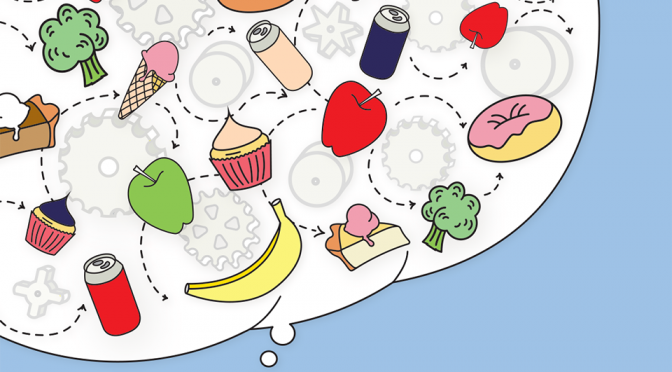 Through analyzing the data, Lim and his team will examine computational and neurobiological mechanisms for children’s dietary self-control development, which will provide the framework for tools. Tool 1: An instructional online platform. “Children and parents will provide their preferences for shared dietary decisions for each week’s lunch menu and receive nutritional feedback for their choices from dietitians,” Lim said. Tool 2: A free mobile app. Through the app, children and their family members will take photos of their meals and snacks, enter their own preferences and share their feedback on each other’s food choices. Connected to cloud-based deep-learning artificial intelligence systems, this application will automatically conduct image-pattern classification and healthy-habit analyses to identify real-life risk factor for childhood obesity and provide appropriate health recommendations. Put simply: the science of decision-making. Neuroeconomics combines research methods from neuroscience; experimental and behavioral economics; and cognitive and social psychology. As studies of decision-making behavior become increasingly computational, it also incorporates theoretical biology, computer science and mathematics. By using tools from various fields, scholars say neuroeconomics offers a more integrative way of understanding how the human brain makes decisions. One tool is an fMRI (functional magnetic resonance imaging), a test that uses a magnetic field and pulses of radio wave energy to make pictures of structures inside the body. With MRIs used in medicine, a patient lies still during the procedure. In fMRIs, participants answer questions while blood flows in the brain are scrutinized to see where activity is going on while decisions are made. Another tool is an EEG (electroencephalogram), a test that detects electrical activity in the brain using small, flat metal discs attached to the scalp. With these tools, neuroeconomists research people’s reasons for trusting one another, charitable behavior, whether to quit smoking, whether to eat apples or fries and much more. About one in three American kids and teens is overweight or obese, putting them at a higher risk for physical, social and emotional health difficulties. 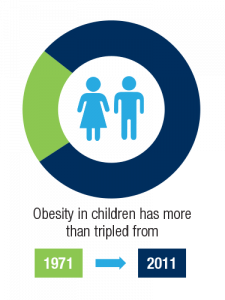 The prevalence of obesity in children more than tripled from 1971 to 2011. It is now the No. 1 health concern among parents in the U.S., topping drug abuse and smoking. Among children today, obesity is causing a broad range of health problems that previously weren't seen until adulthood. These include high blood pressure, type 2 diabetes and elevated blood cholesterol levels. There are also psychological effects: Obese children are more prone to low self-esteem, negative body image and depression. Excess weight is associated with earlier risk of obesity-related disease and death in adulthood. Former Surgeon General Richard Carmona characterized our childhood obesity epidemic: "Because of the increasing rates of obesity, unhealthy eating habits and physical inactivity, we may see the first generation that will be less healthy and have a shorter life expectancy than their parents."